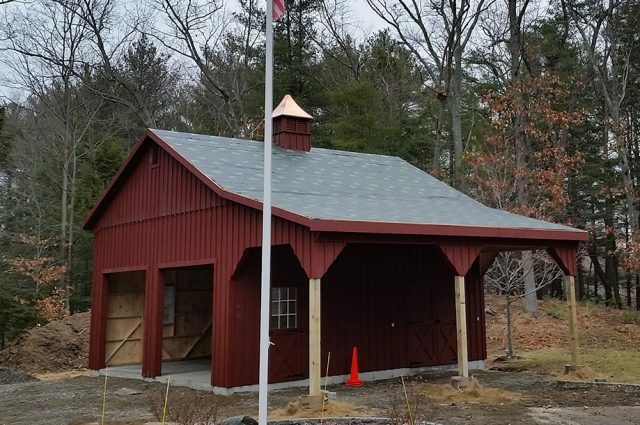 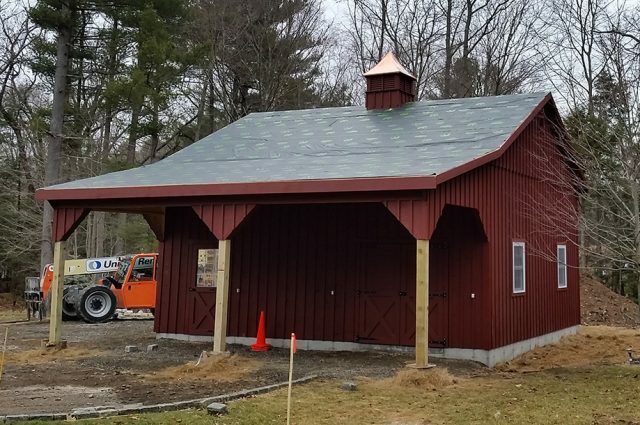 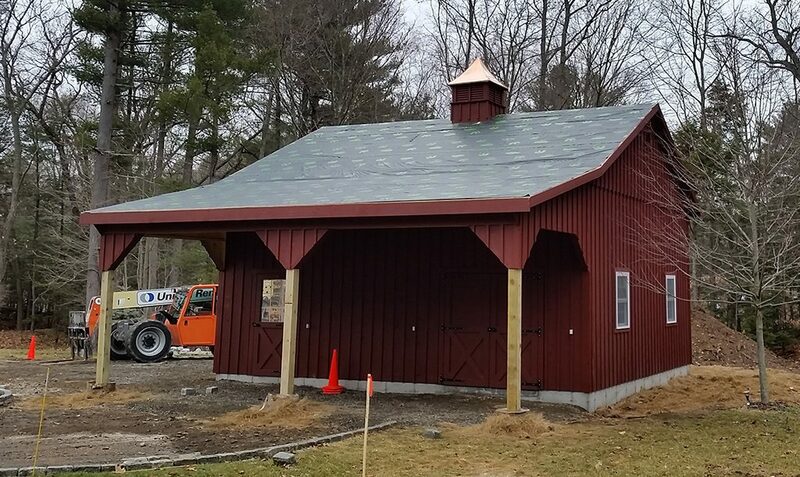 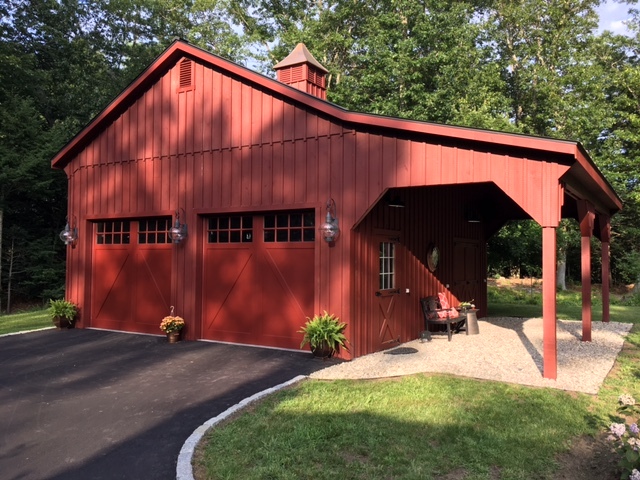 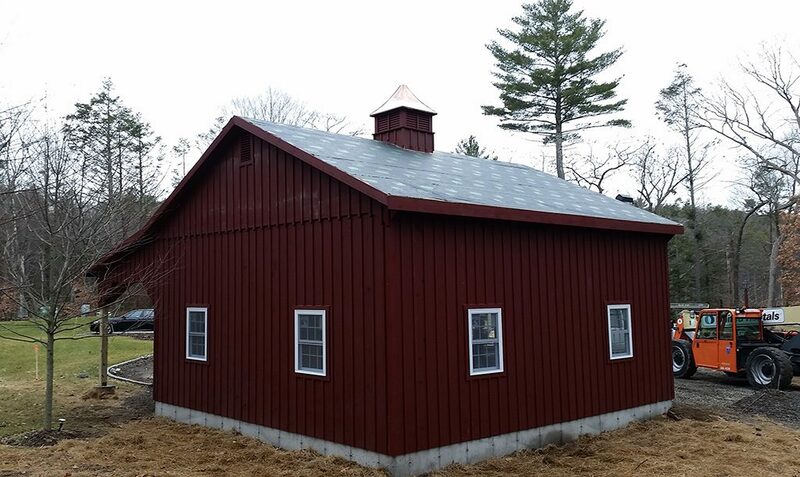 South Hamilton, MA was a beautiful location to build one of our custom prefab garages! 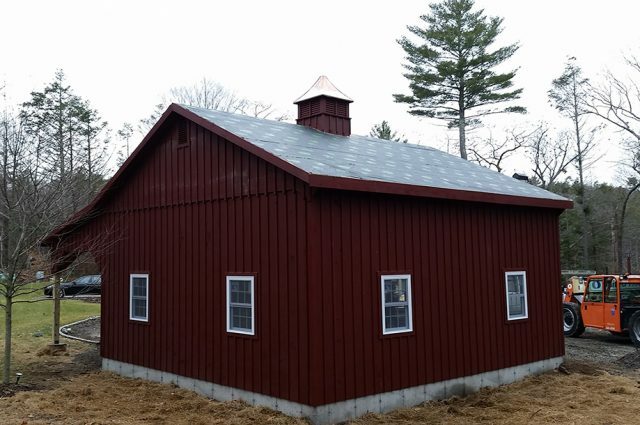 It has a 6 pitch roof with sturdy trusses to keep the structure standing for years. 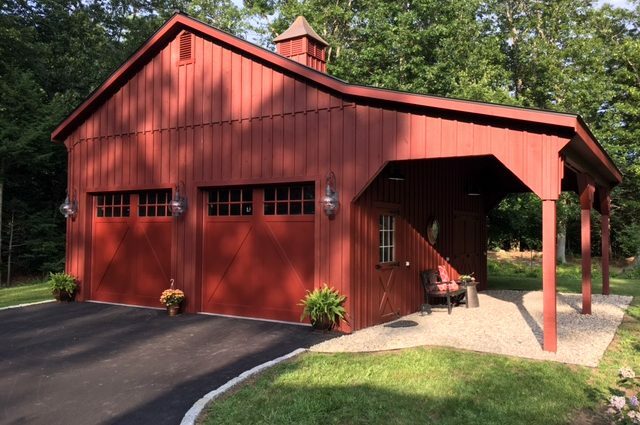 Some of the custom options chosen by the client include a unique red paint, Silverline double hung windows, gable vents, and cupola.